How long can cells survive without oxygen and breathing? The brain can survive less than three minutes without oxygen. Kidneys and liver: 15-20 minutes. Skeletal muscle: 60-90 minutes. Vascular smooth muscle: 24-72 hours. Hair and nails: several days. One of the greatest myths of modern times is that “breathing more air provides more oxygen”. Medical science suggests that the opposite is true: slower and less breathing increases body O2. We can increase body O2 content and solve problems with a stuffy nose fast with a simple breathing exercise. Work of quiet breathing: the amount of energy spent on breathing at the state of rest – 0.5 kg*m per minute. 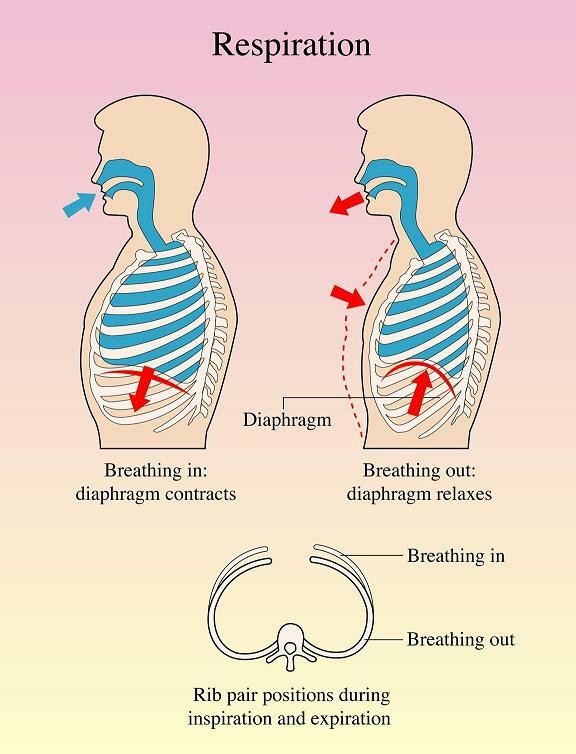 For more information about breathing, click this link (Wikipedia). For most advanced clinical research and methods to treat chronic diseases, you need to see www.NormalBreathing.com. This site features most successful ever-known clinical trials on cancer, asthma, hepatitis B, liver cirrhosis, and many other conditions using … one special breathing technique. For those who are interested in sports and enhancing sport performance, consider this review of the Training Mask, a breathing device that boosts body oxygen levels by creating light hypoxia and hypercapnia.